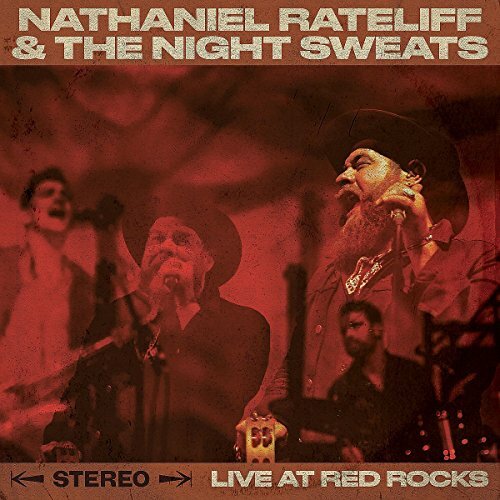 On August 21st, 2016, Nathaniel Rateliff & The Nights Sweats marked the one-year anniversary of their debut album with a triumphant, sold-out homecoming show at Colorado's legendary Red Rocks Amphitheatre, the Denver-based band's first headlining performance at the revered venue. Honed by the extensive touring that took them around the world and back during the preceding 12 months, the mighty rock and soul band tore through a tight set packed with favorites such as 'I Need Never Get Old,' 'Look It Here,' 'Shake,' 'Howling at Nothing' and 'Wasting Time.' The night culminated with their special guests, the Preservation Hall Jazz Band, joining the guys for a swampy, powerful 'S.O.B.' before finishing with Sam Cooke's classic 'Having a Party,' as the second line paraded with band in tow right out of the theater.